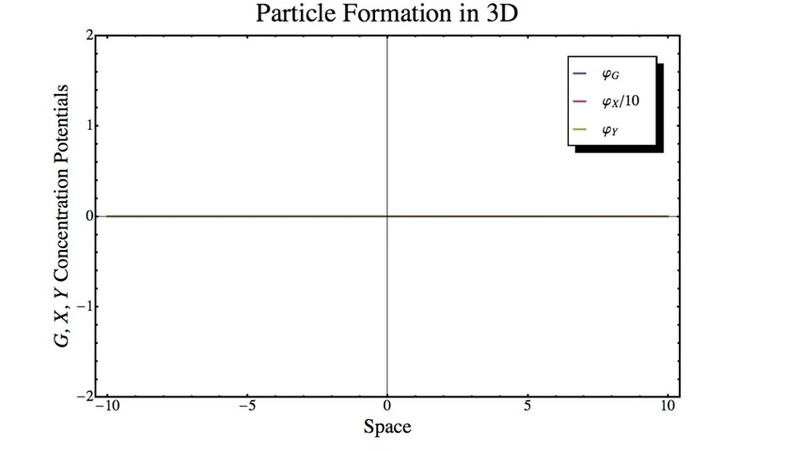 Model G simulation showing the formation of a neutrally charged particle from a zero-point energy fluctuation. 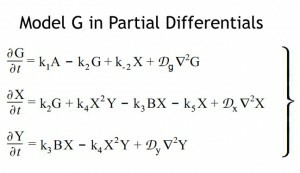 Note that this is created from a computer simulation of the Model G partial differential equations and is not an animation. positively and negatively charged particles. The transmuting ether is the wellspring of Creation. If this continual activity were to diminish, your physical body, your house, the Earth, the Sun, the countless planets and stars filling the vast expanse of space, in fact, all the subatomic particles and energy waves composing our physical universe would gradually dissipate, disolving into a state of uniformity. What would remain would be the ever-present, vast, and unfathomable multi-dimensional consciousness, of which we are a part, and whose now featureless calm “surface” had once generated our beautiful physical universe. To learn more about this process physics, its ancient origin, and astronomical and cosmological implications, read Genesis of the Cosmos by Paul LaViolette. For a more technical presentation of this physics and its astronomical consequences read Subquantum Kinetics by Paul LaViolette.